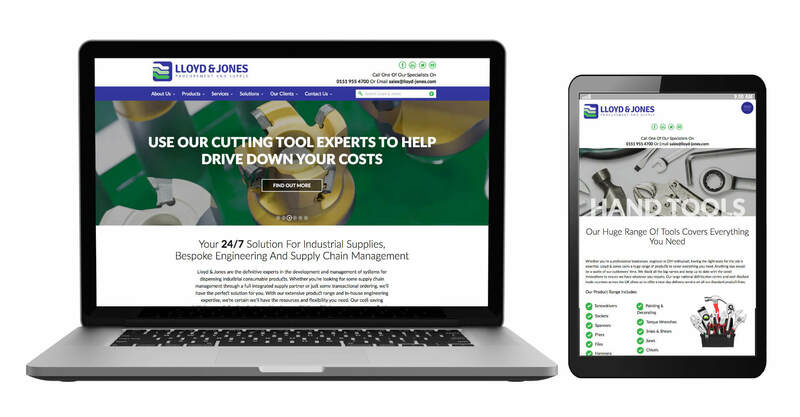 Upon establishing a name for themselves dispensing industrial consumable products over the last 36 years, Lloyd and Jones Ltd required a new corporate identity and web presence, capitalising on the brand and the products/services that they offered in a modern way. The first task was to create a refreshed identity that recoginsed the company’s history and reputation, but brought it’s image into the modern era and reflected how the company has evolved. It needed to instill trust and inspire confidence, not only to its existing clients but to new ones as well. The new website features a fully responsive layout, as well as a unified simplistic approach to navigating the internal pages. Making the user experience to finding that exact product or service and enjoyable one. Deeper Blue would like to send you marketing from time to time. Do you wish to receive such material? Yes I would like to receive it. No thank you.